Performers and venues will often waiver their fee or offer a charity discount, you can boost your total by holding a raffle or selling refreshments. Go on a sponsored walk, swim, run a marathon, climb the Three Peaks, lose weight, sponsored head shave or give up smoking. You can get your friends, family and work colleagues to sponsor you to do something that you have always wanted to do! We will be more than happy to provide you with bespoke sponsor forms. Invite your family and friends round for a coffee and cake and ask them for a donation – you could always gift aid your donations to boost your fundraising. Ask everyone for donations of unwanted items and hold a car boot stall. Everyone makes a donation to wear their own choice of clothes at work or school. Invite your family and friends to a charity BBQ/garden party where they fetch their own drink and contribute some food to a Jacob’s join. 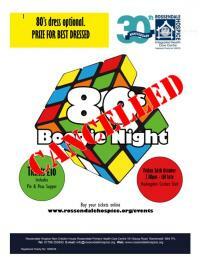 Charge an entrance fee; hold a raffle and various competitions. For the over 18 years only!!! Think of a pub crawl route and ask the appropriate landlords for their permission (prior to the event) to collect donations. We are able to provide Rossendale Hospice T-shirts, collection buckets and stickers. Ask your local landlord if you are able to organise a charity quiz or perhaps a darts, domino or pool competition or even a race day/night? Ask all your family and friends for a donation of £1. Put all their names in a hat and the winner drawn gets half the money, you get the other half for your fundraising. 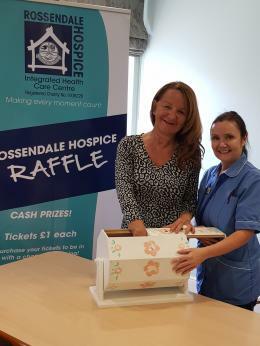 If you do wish to hold an event in aid of the hospice, please could you let the hospice fundraising department know either by telephone on 01706 253633 or by email fundraising@rossendalehospice.org and complete the Fundraising Registration Agreement. Visit Just Giving follow the on screen instructions — it is really simple and only takes a few minutes. Send an e-mail link to all your family, friends and work colleagues — no matter where they live they can sponsor you online. Just Giving forward any monies directly to us, saving you time. Inform your friends and family of how much money you need to raise, how your training is progressing and let them know of any fundraising events you are arranging. If you are holding a larger fundraising event we will advertise your event on a number of free websites throughout the local area. Take digital photographs on the day — often local press will feature an article after an event if they are supplied with a good photograph and some information answering the questions How, Where, When, What and Why? We would also like to feature your fundraising on our website, Newsletters and our Social Media sites.